On Tuesday we headed over to the Bowery Ballroom after a round of drinks at Home Sweet Home. The Freelance Whales were headlining a sold out show with New Zealanders, Lawrence Arabia, warming up the crowd for them. Let me start by saying that I hate the name Lawrence Arabia, it's just awful. Fortunately, I can't say the same thing about their music. The first song started off very slow and frankly I wasn't impressed. However they picked things up during the second song and I got a better feel for what they were all about. Most of their songs started out very slow and then about a minute in they'd start rocking. They kinda sounded like Band Of Horses covering the Pixies. Overall, I think they're a pretty good band but it would be nice if they mixed up the formula a little more. Next up was my favorite band from Queens, Freelance Whales. It's hard to believe that the first time I saw them they were playing in front of 20 people upstairs at Pianos. In less then 6 months they're now headlining a sold out show at Bowery Ballroom, that's just amazing! This was the 4th time seeing them for me but the first show on a big stage. I was really curious about how they would pull it off since they usually just huddle around in a circle and play unamplified. Obviously that wouldn't work in a room the size of Bowery Ballroom. When they came out they were set up like any other band - drums on a riser, guitar to the left, bass to the right and the singer in the center. The sound was pretty fantastic but I have to say I enjoy the smaller setup more. As great as the songs are they lose a little bit of their charm when played on the big stage. That said, Freelance Whales are just an amazing band and it's only a matter of time before they're headlining the big stage at Central Park. My only real complaint is they opened with some of their best songs first and played new stuff at the end. I would have much preferred an encore with a song I could actually sing along to. But all-in-all that's a minor complaint for an otherwise beautiful show. 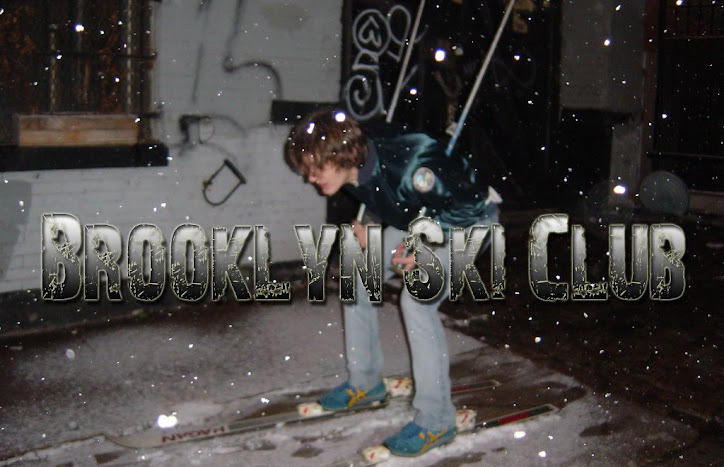 brooklyn ski club sounds like something totally different from it is...or is it?